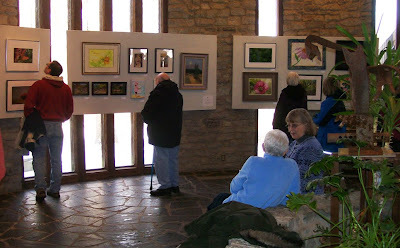 Here's a photo from Sunday's reception at the Glen Helen Association's 5th Annual Members' Art Show. The show runs through Jan. 30 at the Glen Helen Building, and is open Mon.-Fri. 9:30 am-4:30 pm and Sat.-Sun. 10 am-4 pm. please come see the show, world!